This update is simply a very short update on the building progress. We are thanking the Lord for the progress being made with the construction of the multi-purpose building God is allowing us to build. This building process has been birthed out of a vision to expand God’s kingdom and prepare the way for being able to reach and disciple more people for the glory of God. For those of you who use Facebook, you may feel much more in the loop with how things are progressing because of the ease of making updates on Facebook but we did want to take a moment and also update all of you who do not use Facebook on the progress of the building. 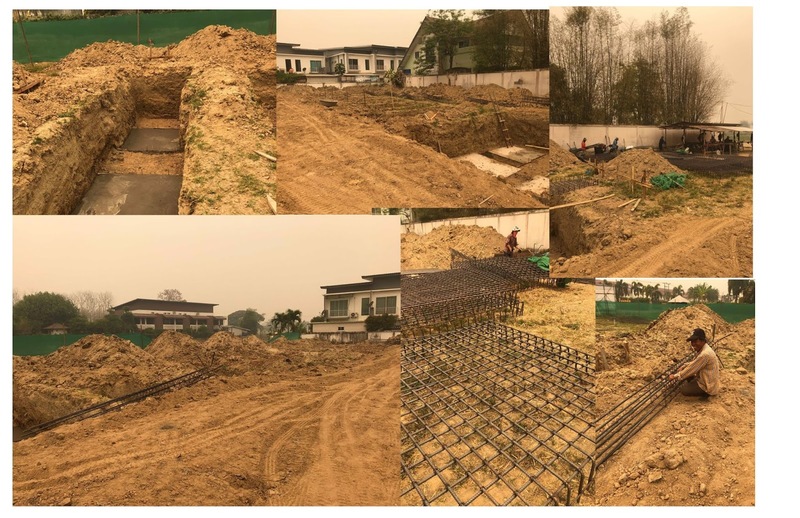 We are at a place in the building process where we are putting the final touches on what is called the "footing" which will provide the stability of the foundation for the whole building. We should be pouring concrete next week. Here are a few pictures taken today and a couple of days ago. Please keep us in your prayers. 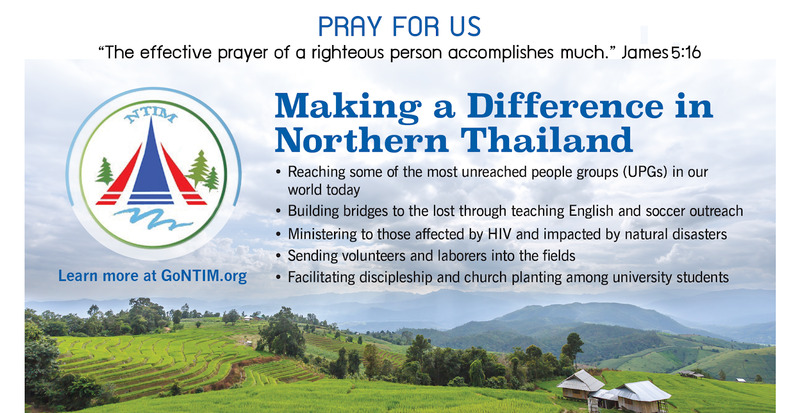 Thank you for joining God in His work among the nations in and around Northern Thailand. NTIM is a non-profit 501(c)(3)charitable organization based in the USA. 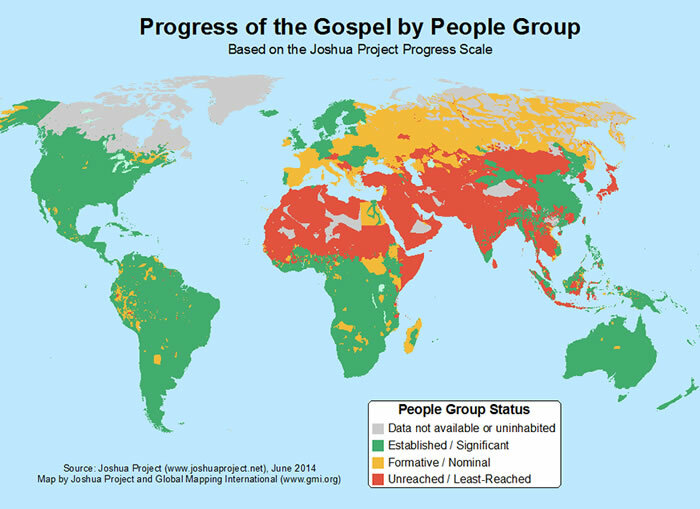 We are committed to reaching some of the least reached people groups in our world today and are focused in the heart of Southeast Asia where poverty is high, educational needs are great, unreached people groups (UPGs) are all around us, and the love and message of Jesus is needed to transform lives. 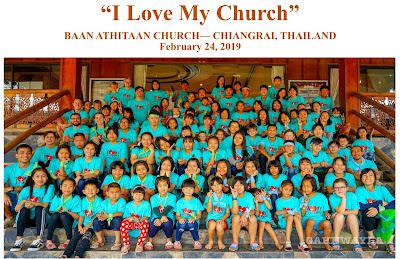 This past Sunday February 24, 2019 we held our annual church fellowship day at Baan Athitaan Church. Many Thais in the church also call this day Family Day or Family Time. What a wonderful name to describe how the church should feel and act! That name is also a reflection of the importance Thai culture places on family relationships. Not that they aren’t important or cherished in Western culture, but family relationships are placed above all others here. And so “Family Day” expresses just how much these precious souls, who have come to know God within Thai culture, love one another and understand their unity to God and the body of Christ. After our morning service, we gave everyone an “I Love My Church” T-shirt and we gathered on the front steps of Baan Athitaan to say a prayer of thanksgiving and dedication to God. Then everyone joined in an afternoon of all kinds of fun games including relay races and soccer. At the end of the day, we gathered for a time of prayer and worship and afterwards, enjoyed an amazing meal of different Thai dishes prepared by our church body. This annual day of fellowship, where men, women, and children of multiple ethnicities and languages all come together as brothers and sisters of one family to express the joy God has brought to their hearts, will always be one of my favorite days here in Thailand. Paul wrote in Romans 12:5, “so we, though many, are one body in Christ, and individually members one of another.” And as much as we are all united to one another here in Thailand, we are also united to you, our brothers and sisters back home. And I know you also share in that same joy and love for each other. Here is a video clip that Pii Gahn put together for us to remind us of our Family Time. Thank you for your continued prayers and support for Baan Athitaan. Sorry this one is a little long but very, very important. Please read to the end. Thank you. 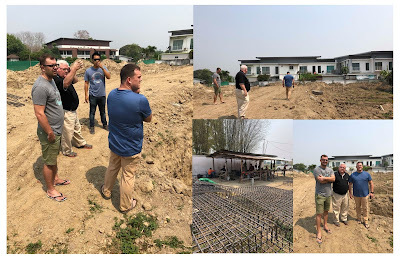 What a great joy it is for us to announce that your prayers have been answered and the municipality of Baandu, here in Chiangrai, Thailand where we live, has recently approved the construction plans for our future building. We had to make a few adjustments to our original plans to meet all of the requirements and new regulations and the latest version looks like this. As I shared with you in our last update, on Sunday morning January 27, we scheduled a short prayer time at the new land God has given us and prayed for God’s leadership in the government approvals and in His blessing and protection over all of the future construction process and over all the people who will be involved in putting up the multi-purpose facility for the glory of God. Here is a short video clip of our time of prayer that Pii Gahn put together for us and for you. Please continue to seek the throne of grace on our behalf. We also wrote an update to you on February 2 and asked all of you to pray for these approvals and God has indeed heard your requests on our behalf and we are excited about moving forward with God’s leadership and blessing. In order to move us farther down the road to completion of our building project, we have felt led from the Lord to facilitate various “fun 5K walk/run fundraisers” to be held on Saturday morning, March 30, 2019 at various locations all around the world in order to raise $300,000 U.S. dollars for “The Lighthouse Learning Center” building. 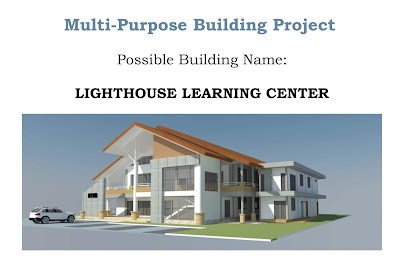 The name “Lighthouse” is one of the names for the building we are strongly considering. It redeems the name of our first school we established in Chiangrai and communicates our desire to truly be a lighthouse to our community. (We would love to hear some feedback on this name or other names that come to your mind). 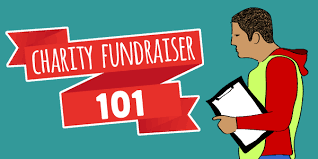 We also believe these various “fun 5K walk/run fundraisers” will give us the money that we need for the actual building construction AND will also help us to replace some very, very old chairs, tables, air conditioners, and equipment that will be needed in the days ahead. We still have some details and promotional materials to work out and get ready to provide for our “hosts,” but we want to start this process by asking for “host sponsors” from various locations all over the globe. Would you be willing to host one of these “Fun 5K walks/runs?” Please forward this to others who might be willing to sponsor one of these events. We envision having “fun” 5K walks/runs in various locations all over the world on Saturday morning March 30 (all of them being Saturday morning local time for each location). For example, we envision a “host” to map out a 5K course that can be used to mobilize people from all walks of life including children and elderly people capable of walking a 5K course and also allowing those who wanted to “run it” to also run it. 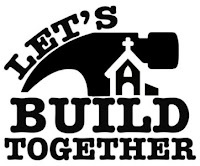 We want these events to be something that the whole family, the whole small group, the whole church, and the whole community could actually participate in, even those who may not be Christians but who believe in education and helping support our educational building. Again, we do not want to go through all the details here but we are ready to begin accepting “host” locations. 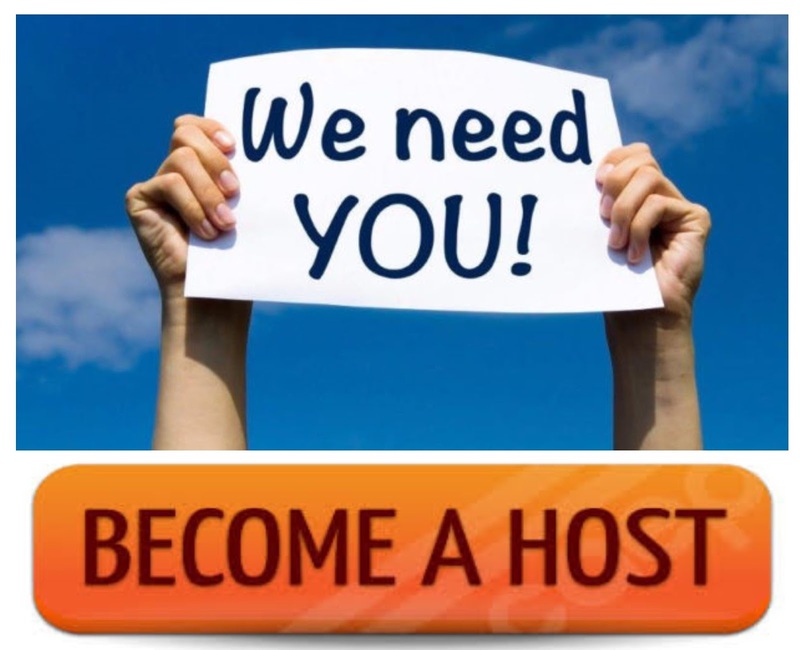 If your church would like to be a “host?” or a small group would like to be a “host?” or even an individual would like to be a “host” and coordinate all the details of this “fun walk/run” event? then please send us an email at pray4ntim@gmail.com and tell us of your desire to be a host and for what “location” or area. If you live in Australia, please consider hosting one in your area or city. 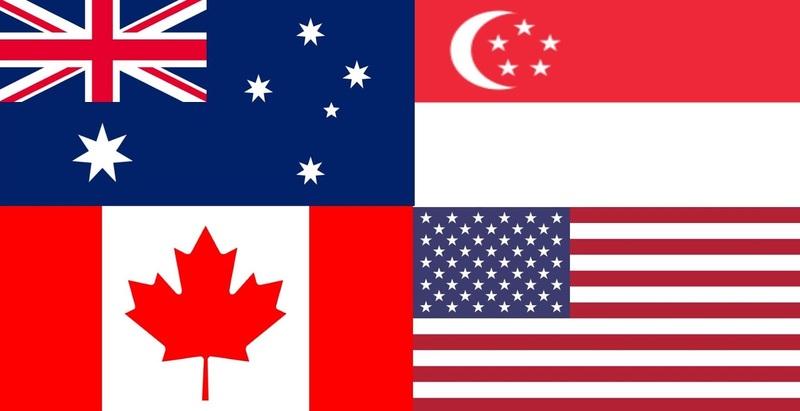 If you live in Singapore, please consider hosting one in your area. If you live in Canada, please consider hosting one in your area. If you live in the United States, please consider hosting one in your area. 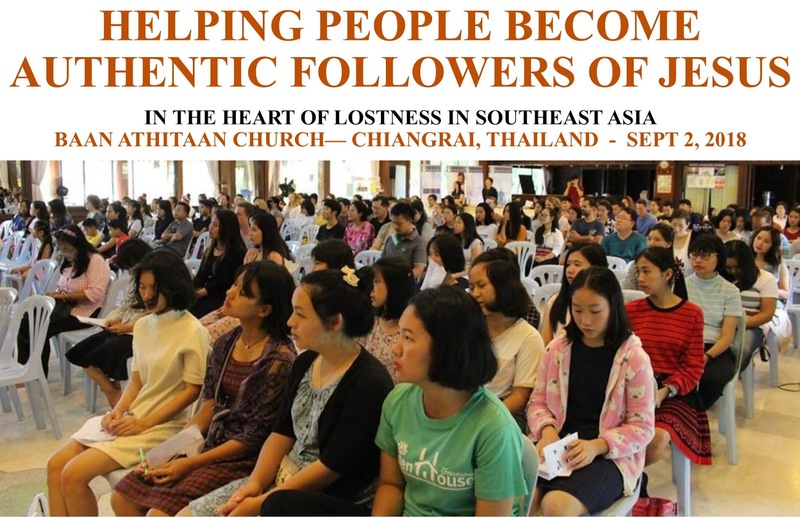 If you live somewhere in Thailand, please consider hosting one in your area. If you live in another country that we did not mention and want to host one of these events, then please write us. As for Chiangrai, we will be hosting one that begins and ends at our new property. We will be mobilizing as many people as we can here in Chiangrai so that God is pleased with our part in this project. We are not asking you to do anything that we are not willing to do ourselves. May these events be used of God to draw various communities together with a “Great Commission” heart for using “education” to reach out and be the salt and light of Jesus to our world - all for the glory of God and the advancement of His Kingdom. Let’s do this. Let’s do this together. And let’s do this for the glory of God and the advancement of His Kingdom. If you feel led to be a host, please send us an email with your name and the area you would like to host one of these “5k Fun Walk/Run” events on March 30, 2019. 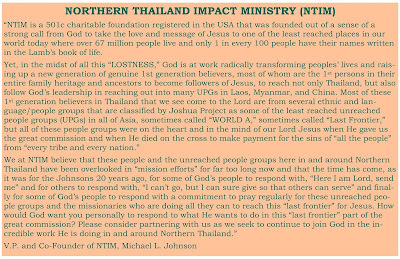 Thank you in advance for joining God in His work among the nations in and around Northern Thailand. 1 year ago today Derek & Jodi May had come out from Mississippi, where Derek was serving as a Pastor, and were here in Chiangrai with us on a "vision trip" to further explore the possibility of them bringing their family (they have 3 young children - Jack, Grant, and Casey) to Chiangrai to be our volunteer team coordinators for our building project. 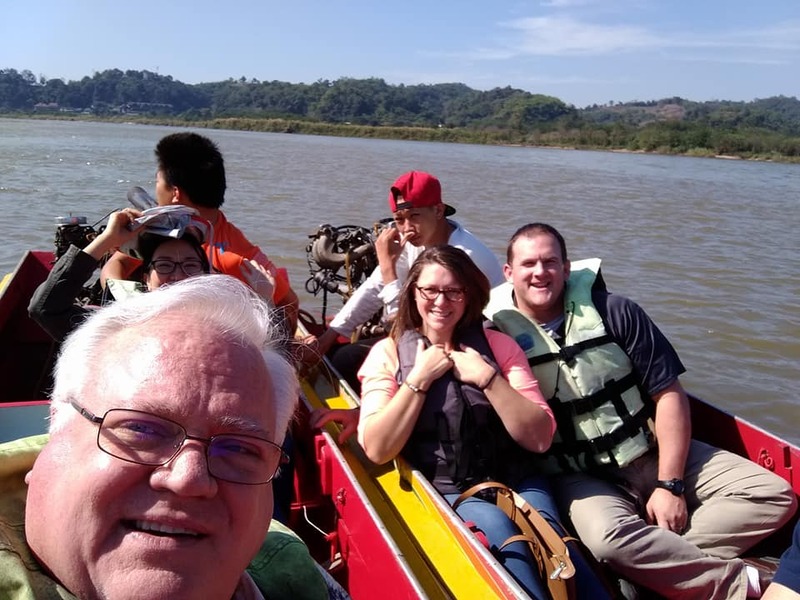 The picture below was taken on January 25, 2018 as we were in a boat in Chiang Saen on the famous Mekong River headed back to Thailand from a short excursion over into Laos, which is so close to us it is only 45 minutes from where our new piece of land that God has given us is located. Today we are praising God for this trip 1 year ago and for the May's sensing God's leadership to come and join God in His work here. We are so thankful that the May family were obedient to God's call and are now here with us in Chiangrai and doing well. We also want to thank all of the churches in Mississippi and the awesome friends and leaders at the convention in the great state of Mississippi for supporting and sending the May family here as our Construction Volunteer Team Coordinators. As I write this praise/prayer update, Derek and Jodi are in a classroom here at Grace Language School with Kru Ball who is teaching them the Thai language mixed in with a little cultural learning. Please continue to pray for Derek and Jodi, as well as the rest of us, as we are planning and looking to begin the construction process on our new multipurpose facility very soon as our Lord leads. We have lived in Thailand now 20 years, and in Chiangrai for almost 18 of those years. For the last 18 years, we have been in rented facilities which have been the bulk of our overhead costs that we are trying to eliminate. We also believe it is God's timing for us to say to the darkness in and around Northern Thailand that "God's work is here to stay." 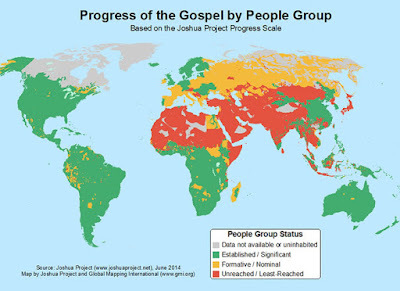 Either way, please pray for us as we seek to reach people who become the first persons in their entire family to be followers of Jesus and then to equip these genuine 1st generation believers from some of the least reached people groups in our world today. All for the glory of God and the advancement of His kingdom. Our desire is motivated by this thought: "As God's will is done in heaven, so too, may God's will be done in and around Northern Thailand." Wow…. Things Only God Can Do …but He allows us to join Him and see Him work wonders….. Please take a moment and look at this picture that was taken sometime in January 2015. This picture was taken 4 years ago with my “level 5” class at Grace Language School where I have the privilege of serving as both a teacher and the Director of this awesome school. When I look at this picture I am reminded of several very important things that I want to tell you about today. The first thing that I want to say is that when this picture was taken 4 years ago, I was the only follower of Jesus in that room on that day. We live in a place in God’s world where only 1 out of every 100 people know Jesus as their personal Savior. I didn’t really know it on the day that pictures was taken, but God was at work in a mighty way in the lives of at least two of the four students in that classroom. God was using many different people, some through our language school and others not related to our language school, but all to play a part in helping two of these four students take steps closer to Christ. Little did I know that 5 months after this picture was taken, that the young man on my right – Nong Ball – would give his heart to Jesus and become the first person in his entire family to become a follower of Jesus. 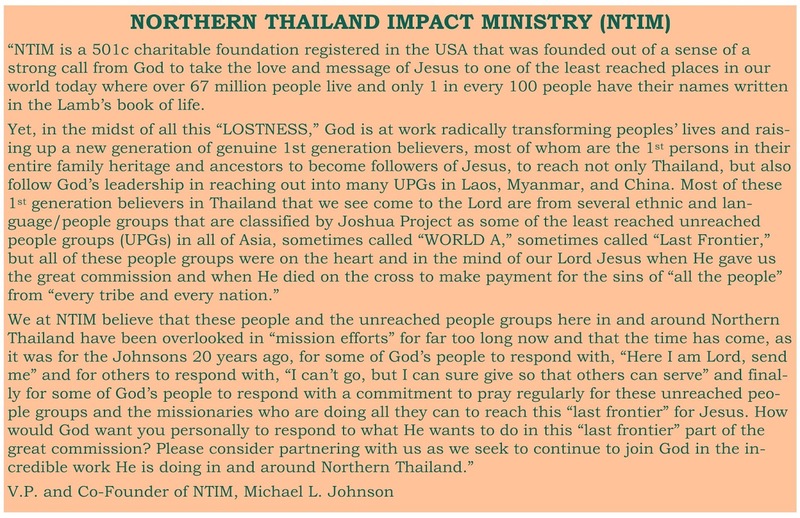 Not only that, out of the 100+ people groups that make up the people of Thailand, Nong Ball is from the 3 largest Unreached People Group (UPG) – The Khon Muang or Northern Thai. This UPG is made up of about 7 million people mostly living in Northern Thailand but some also in Laos and in Burma and possibly in Southern China. Since Ball graduated from Rajabhat University over a year ago, he has been serving on my staff and is growing deeply in his walk with our great Savior and is learning how to serve the Lord with all his heart and we are very glad to have him as part of our team. Not only was God at work in Nong Ball’s life when this picture was taken, but God was at work in the life of another university student that was sitting on my left. About 7 months after this picture was taken, the young lady on my left – Nong Nok – would give her heart to Jesus and become the first person in her entire family to become a follower of Jesus. Similar to Nong Ball, out of the 100+ people groups that make up the people of Thailand, Nong Nok is from another unreached people group called the Lu Mien or the Yao. This UPG is made up of about 1.6 million people primarily located in China, Vietnam, Laos, and Thailand. Nong Nok has since graduated from Rajabhat University and became a teacher and last year spent her first year after graduation teaching at the school she went to as a child in her home village. She is continuing to grow in her relationship with the Lord and is active in sharing her faith with her family and with those around her. God is using Grace Language School in a very powerful way to truly reach into some of the least reached people groups in our world today and to make an impact in the lives of young people especially those studying at one of the two universities that are near our work. Yesterday, January 13, 2019, was a very special and significant day for Hope, Jessica, Liz, Joshua, Caleb and myself because it was on this 13th day of January that we all landed for the first time as a family in Thailand 20 years ago. 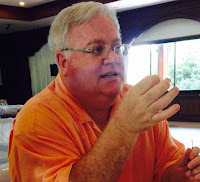 For all practical purposes yesterday was Hope and I’s 20th year anniversary of living and serving God in Thailand. When we got off that plane 20 years ago in Bangkok, we had never heard of this awesome city called Chiangrai in the Northern most part of Thailand filled with enormous natural beauty and filled with dozens of unreached people groups, each with a rich cultural heritage and language but some of the least reached people groups in the world today. 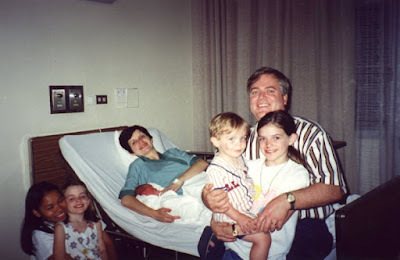 Below is a picture of our family 2 months after we arrived in Thailand 20 years ago as Caleb made his appearance on the day of his birth in Bangkok on March 10, 1999. When we landed in Bangkok Jessica was 9, Liz was 6, Joshua was 1&1/2 and Caleb had been in mommy’s tummy 7 months. We had yet to discover that after we would spend 2 years in language and culture learning in Bangkok, that we would sense God’s leadership to move our family of 6 at that time to Chiangrai and begin what we then called “OPERATION CHAINGRAI.” “Operation Chiangrai” was a “vision” a “dream put in our hearts” to join God in establishing an English language platform that God might be pleased to use as a tool to reach hundreds and possibly thousands of Thai young people and be the starting point for planting this church that we now call Baan Athitaan Church, and a tool in the future that could be used to facilitate church planting not only in Thailand but in neighboring “closed countries” as well and still be “under the radar” of a legitimate legally registered English language school. 20 years ago we did not see the future very clearly at all but we loved, trusted, and knew God well enough to trust Him with all of our heart and not to lean on our own understanding and to acknowledge Him in all of our ways and we believed that God would guide and direct our steps just as His Word promises us in Proverbs 3:5-6. 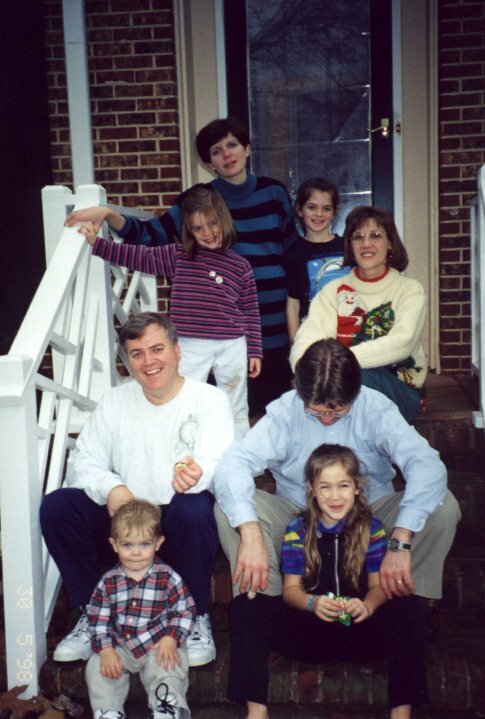 Today, we want to honor God and give thanks to Him for His mercy and His goodness these past 20 years. 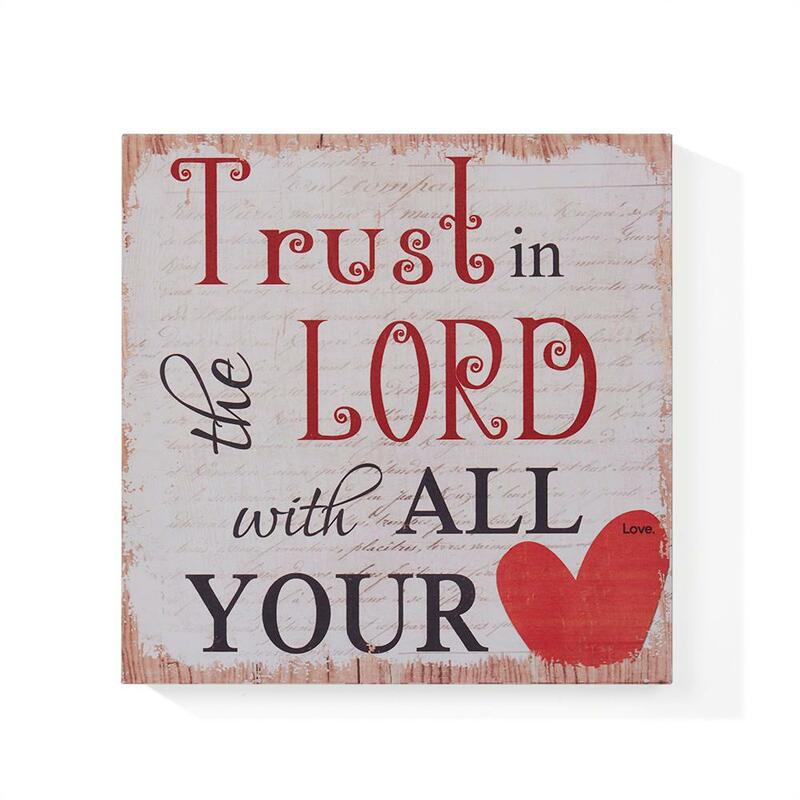 We also want to take this opportunity to encourage each of you to walk with God, to trust God, to give you lives to God, to seek after His kingdom and His righteousness first and foremost in your life, and then…. enjoy the adventure of following Him and seeing How He allows you to be a part of as He is doing in His world as He seeks to save that which has been lost. 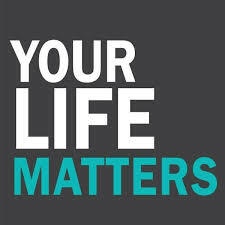 Let me be perfectly clear: Your life does matter. What you do and what you do not do has an effect on other people and on eternity. May God help each of us better sanctify Christ as Lord in our lives and to learn better what it means to seek God’s kingdom and God’s righteousness in our lives first above all other people and things. Let us resist the temptation to be driven by those things that drive the rest of the world but instead be driven by the love and purposes of God and the desire to honor him with all of our lives and to joyfully do our part in assuring that the message of Jesus Christ gets to every person in the world, even to those is some of the least reached people groups living here in and around Northern Thailand. 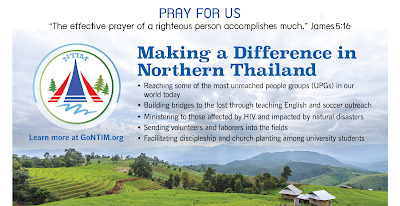 It has been our honor to serve God and to serve Thai people in a special way these last 20 years…. We have tried to do it all for His glory and for the advancement of His Kingdom. One of our life verses is 2 Corinthians 4:5, which says, "For we do not preach ourselves but Christ Jesus as Lord, and ourselves as your bond-servants for Jesus' sake." We thank God and we thank you for letting us be your representatives to the Thai people these last 20 years. 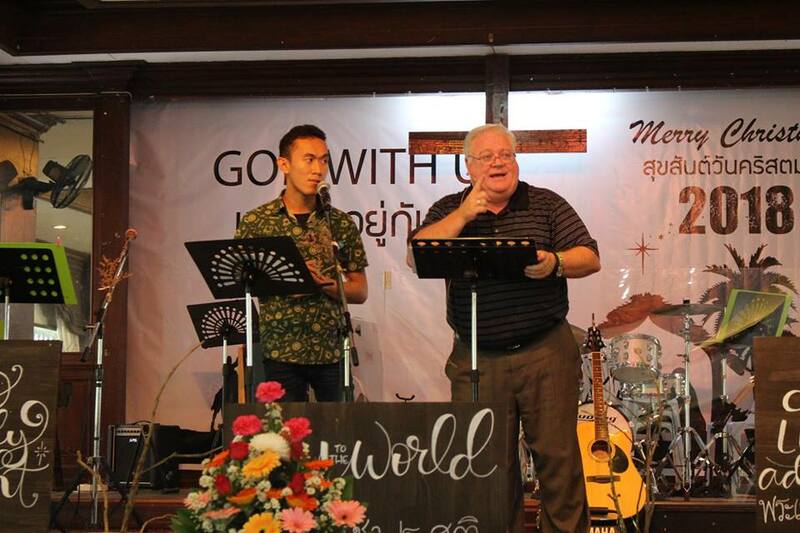 I pray that God has been pleased with our service and that He will be pleased to allow us to serve Him here many more years to come for His glory and for the advancement of His kingdom in and around Northern Thailand. There is still so much work to be done. The fields are ripe, ready for the harvest but the workers are truly few. This is not work for the fainthearted! Let us be faithful to find the course God has for us and then to stay on that course regardless of the difficulties and hardships that come into our lives. Our lives do matter and as we truly reflect on the meaning of Galatians 2:20, we realize that God desires to live in and through us to reach the lost, to help the broken and the distressed much like we see our Lord Jesus doing in Matthew 9:36. 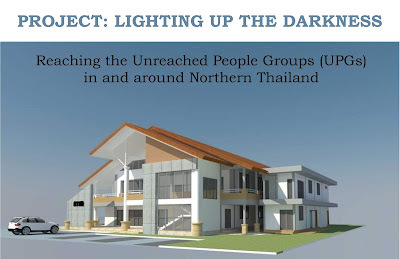 The various unreached Thai people groups, the various unreached Burmese people groups, the various unreached Laotian people groups, and the various unreached Chinese people groups, simply to name a few, are some of the least reached people groups in our world today living in darkness without the light of Christ. These precious people have been in darkness far too long now and it is time for God’s people to take the light and message of Jesus into every village and to every people group living in this part of God’s world…. and may it begin…. with us. “Here we are Lord, send us” is our prayer. Here is one very practical and urgent way you can help. Most of you know that we sensed God’s leadership around 3 years ago to move in the direction of saying to the darkness in Thailand that God’s work of redemption is here to stay. 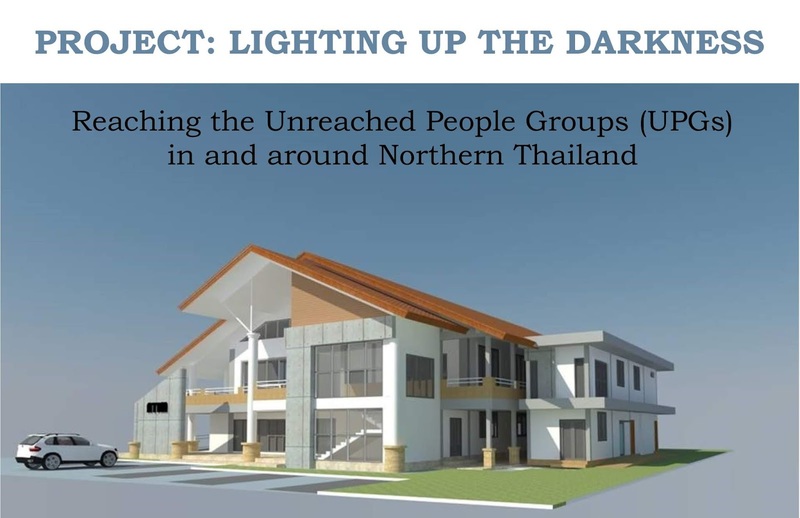 We shared our vision for what we have called “Project: Lighting Up The Darkness.” We have been in “rented facilities” for the last 17+ years we have lived in Chiangrai and we believe it is God’s time to establish a more permanent platform for NTIM to reach the nations for Jesus with the home base being here in Chiangrai. God has blessed us greatly and we are somewhere between Phase 2 and Phase 3 of our project. Phase 1 was completed when we purchased land in a very good location just 2 minutes from our current rented location. Phase 2 started the day we began raising support for the building process. God’s people and several of His churches have been generous but we are still in need of about $190,000 so that we can begin this building project with all the funds needed to complete the building phase of the project. 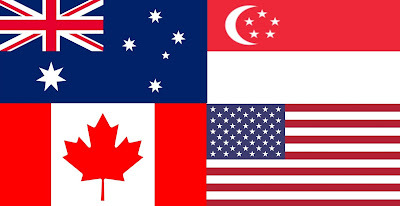 We are looking at doing a “running/walking fund raiser” here in Thailand, in the USA, and in Canada (and in any other countries where someone is willing to coordinate this effort) in the days ahead and will provide more information on that soon. But for now, in honor of our 2O YEARS OF SERVING GOD IN THAILAND, we want to ask each of you reading this to consider giving $20, or $200, or $2,000, or $20,000, or even $200,000 (as the Lord prompts your heart) and send it to NTIM designated to go to the completion of our building project of “Lighting Up The Darkness.” Please remember that this is not for our sakes…but for the sake of the millions of people living here in and around Northern Thailand who have yet to hear the “good news which shall be for all people” much like the Angel said to the Shepherds in the fields watching over their flocks when our great Savior was born. 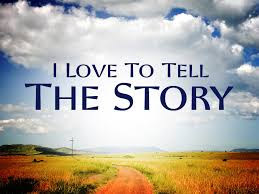 Believe it or not, after 2,000 years of the great commission, there are still areas like where we live where 99 out of 100 people do not yet have their names written in the Lamb’s Book of Life. In Thailand alone there are 66 million of those people! For the last 20 years we have had to honor of joined God in seeing that alarming number change for the glory of God. We have “in faith” submitted our paperwork to the government for the approval of our building project and according to our Architect as of yesterday, we expect to gain the approval to begin the building process this week. Please PRAY. If we can begin soon, we will be at a stage in the process where by June 1, we will need volunteers. We hope to have some of you come out this Summer on a mission team and help us put up walls for our classrooms and finish the painting. Derek & Jodie May are here from Mississippi serving as NTIM’s volunteer team coordinators for our building project and would love to hear from you. Again, let me say thank you in advance for any financial donation you feel that you are able to make toward this project at this time. We want each of you to be “invested” in God’s work here in Thailand because as Jesus said, “Where your treasure is there you heart will be also.” We want your heart to be in Thailand. 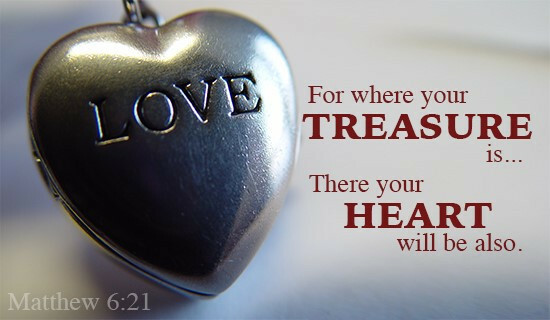 Please open your heart along with us to love these precious people enough to join God in His work of redemption here. This Sunday is the first Sunday of the new year and I deeply desire to be more intentional in this new year to join God in what He is doing here in people’s lives in and around Northern Thailand where there is great darkness regarding the knowledge of God. 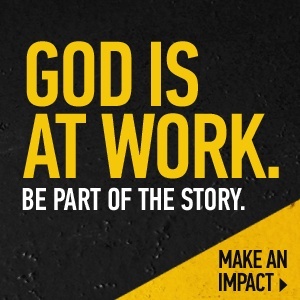 But even in the midst of millions who have never heard the message of Jesus Christ, God is at work transforming peoples’ lives and equipping them to join God in His great work of redemption and transformation. As I am writing this prayer request, I have taken a short break from my preparation of the message I will share this Sunday from God’s Word. We want to ask you to go before the throne of grace on our behalf and on behalf of all of those here in Chiangrai, Thailand who will gather together as Baan Athitaan Church family this Sunday. Our church family and the “audience” that will be hearing this message is a very culturally diverse group of people from many different ethnic people groups and countries. We can identify over 23 different people and language groups that make up our church family, most of them from UPGs here in Northern Thailand. Many of the people in our church family are the first persons in their entire families to become followers of Jesus. 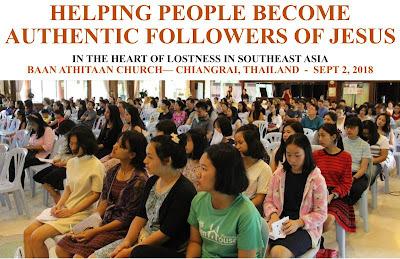 Since we are deeply committed to being a “community church,” welcoming everyone in our community into the family of God, we also have a good number of missionaries and expats who are involved in various ministries in Chaingrai who love Thai people and want to be a part of helping them grow in the grace and knowledge of our Lord Jesus. They also need to be encouraged and strengthened as well to “sanctify Christ as Lord in their hearts” and to be encouraged to continue to improve their walk with God and their partnership with God in His work in Thailand and in neighboring countries. I share all this background to help you know how to better pray for us because we really believe the Bible when it says, “the effective prayer of a righteous person accomplishes much.” We also believe that part of our role before God is to encourage, invite, and provide opportunities for you to join God in what He wants to do in this part of His world. 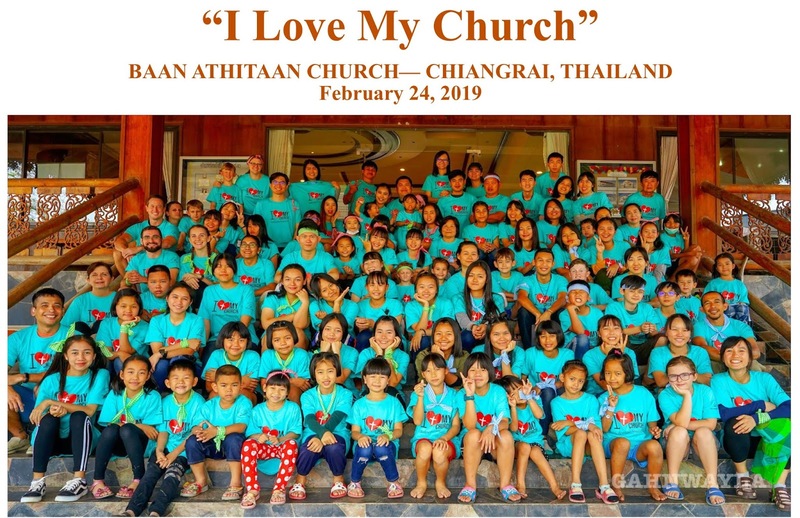 God is doing some amazing things here in Chiangrai and using your prayers, your donations, your missionaries, and many, many different people... but we, specifically as a Baan Athitaan Church family, desire to honor God and join Him in what He is doing in this part of His world. Please also remember to pray for my translator this Sunday whom we all know here as Nong “Bas” Marut Thapthimthed Bas. He is currently a student from Mae Fah Luang University and is from the largest unreached people group in Thailand, the Central Thai people. 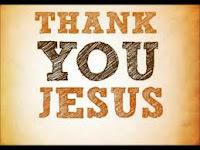 He is the first person in his entire family to become a follower of Jesus. We have been intentionally mentoring and investing our lives in him for over 2 years now and he loves the Lord deeply and has become one of our most respected and capable translators we have ever had. He has now grown to the place where we ask him to translate for our services about two times a month. He does not get paid for this but sees this as one of the ways he serves God and use his gifting and abilities to honor God and serve his church family. This is what we call “natural Christian leadership training.” Please remember to pray for this godly young man named “Bas” who will be translating for me this Sunday. 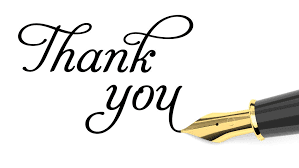 Thank you for your faithful prayers for us and for God’s work in and through Baan Athitaan Church. Until all the people living in and around Northern Thailand have a chance to become followers of the One True God and His Son Jesus Christ. Today is the last day of a 365 page book that covers everything you and I have done, everything you and I have said, and everything you and I have thought for the last 365 days of 2018. 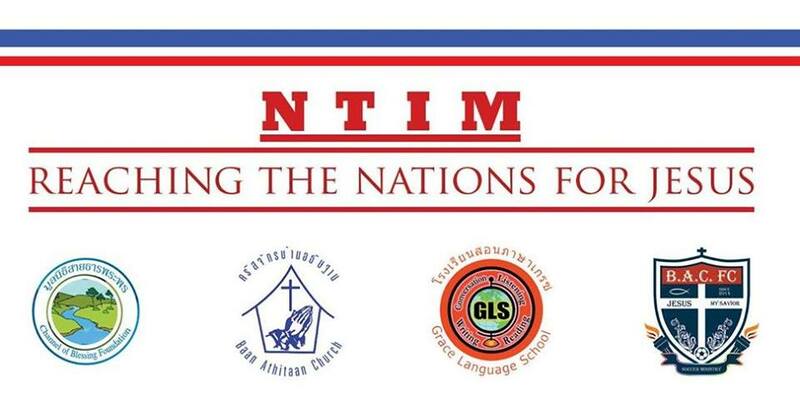 God has been doing some absolutely amazing things here in Northern Thailand and I am normally very quick to report on God’s Working here in Thailand because I want my family, my friends, my neighbors, and my partners in ministry to know that God is good and that He is very active in using the people here at NTIM, Grace Language School, and Baan Athitaan Church in God’s work of reaching and transforming the lives of people from some of the least reached people groups in our world today. BUT TODAY, God has prompted my heart to speak to you (and to others whom you feel led to forward this to message to) about ending this last page of the book of your life in 2018 on a good note by intentionally preparing to make some changes in your life as you begin a new chapter of the book of your life during 2019. 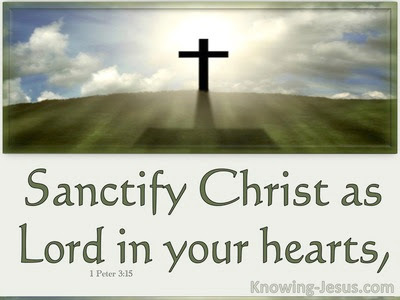 We as follows of Christ get sidetracked so easily from what is truly important to God. Life is not about gaining more stuff…. Better housing, Better Cars, better furniture, better phones, a larger savings account. 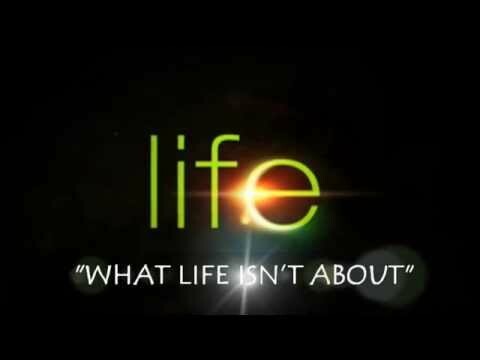 No, that is not what life is all about. Life is also not about having more fun. Now don’t misunderstand and think that it is wrong to have fun, no there is nothing at all wrong with have fun from time to time. I have fun almost every single day and have lots of fun when teams come out and serve with us in expanding God’s kingdom here in Northern Thailand. But, the motivation of our lives should not be seeking to have more fun. Rather we should seek God’s Kingdom and His righteousness first and learn to have “fun” being obedient to our Master who has commissioned us with the task of joining Him in going to all people groups in our world and making disciples. As followers of Jesus, our lives are not to be wasted. As followers of Jesus, our talents are not to be wasted. 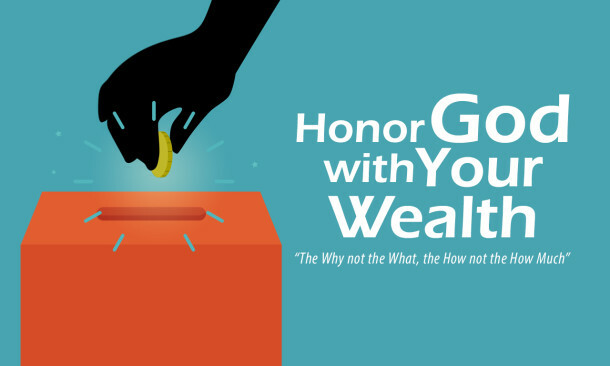 As followers of Jesus, our financial resources are not to be wasted. As followers of Jesus, our time is not to be wasted. 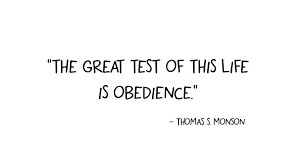 As followers of Jesus, our lives are to be driven with a deep desire to be obedient to live according to what pleases God. Today is the last page of our lives for 2018. 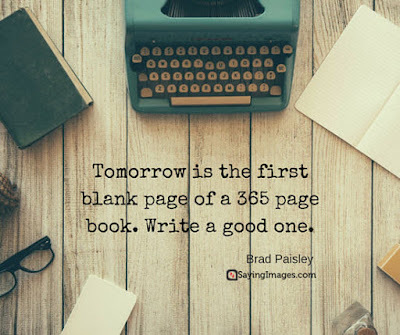 You cannot go back and change what has already been written in your book but you can learn from it and intentionally choose to write a different story for 2019 starting tomorrow. God understands that we slip up and fall and make mistakes from time to time. But He does expect us to not be driven by the same values that drive those who do not know Christ. 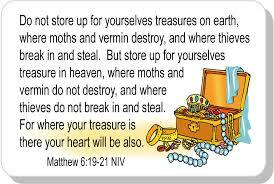 We are not to be driven to gain more stuff but really to learn how to give more stuff away as we “store up treasures in heaven” not store up treasures here on the earth. We are not to be driven to have more fun. No, we are to learn to be more obedient to God and live in a way where we “have fun” doing the will of God for our lives. 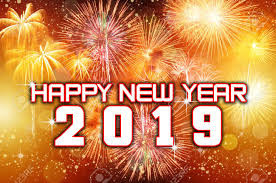 Today God has given us an opportunity to reflect on 2018, rejoice where we have pleased God and recognize where we have not pleased God like we should have and INTENTIONALLY choose to start the new year off right with the helping our first page of the book of 2019 be written as a living sacrifice please to God. We love you and have shared our heart with you and want to say Thank you for sending us to Thailand and supporting us as we seek to lead a small part of God’s work to reach the least reached peoples in this part of God’s World. May this new year of 2019 be a year where you and I are more intentionally focused on seeking God’s Kingdom and His righteousness above all other people and things. Please accept our apologies for getting a little behind with our daily updates. God has been doing some amazing things and we just got a little behind in writing them up for you. 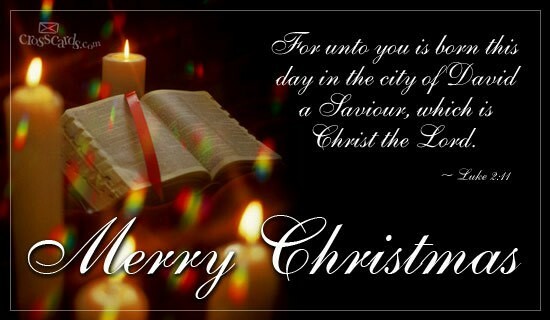 We will be doing that in the next several days but for today we simply want to say MERRY CHRISTMAS. As I write this update, I it is already Christmas afternoon here in Thailand and it has been a great morning. 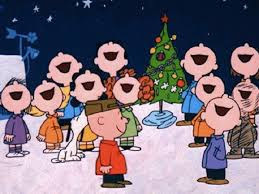 We have two of our biological children here with us as well as one of our son-in-laws and we enjoyed spending time together on Christmas Eve sharing the Christmas story, singing Christmas Carols, and as has been our tradition, opening one of our presents. What a great joy it has been for us these past several weeks to have been able to join God in His Work of announcing this great news to thousands of Thai people in many different places. After all, the Angel said this is good news “for all people” and “all” means “all.” As you pray and thank the Lord for His goodness today, remember to pray that “all” people will have a chance to hear this good news of our Great Savior.